Below you will find Top Kendriya Vidyalayas in Pune 2018, List of Best Kendriya Vidyalaya Schools in Pune Region. Founded in the year 1964, Kendriya Vidyalaya No. Kendriya Vidyalaya BEG, Pune is a Co-ed English medium school managed by the Kendriya Vidyalaya Sangathan. 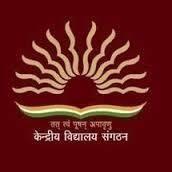 Kendriya Vidyalaya, 9 BRD, Air Force, Pune is one among Vidyalaya under the KVS (Mumbai Region) of Maharashtra State. KV Ganeshkhind was established in the year 1973 as a Defence Sector, located in the boys battalion area in the ARDE housing colony on Aundh road of Pune. Kendriya Vidyalaya, Range Hills Estate, Pune was established in the year 1983 and Vidyalaya is run by the Kendriya Vidyalaya Sangathan, an autonomous body under the Ministry of Human Resource and Development, Govt. Kendriya Vidyalaya Southern Command was established in the year 1967 and is known among the premier educational institutions in the country since then. Established in 1985 in Army barracks, K.